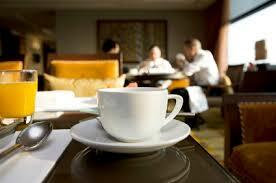 Are you going to a meeting or a chat with coffee? I am still amazed by the amount of people who go to meetings with clients without a clear objective. Twice this week I have talked to people who mention that they are going to meet with someone – I then ask the question “What is the objective?”…. This tells me they have no plan for at the meeting and therefore they have no control over the outcome, which may have been beneficial to them or their business. Before any meeting it worth spending time structure the meeting, this may include the information you want to share, the information you want to receive – and most importantly an objective, which should lead to a next action…… Otherwise are you just wasting your time? https://www.tdconsulting.com.au/wp-content/uploads/2017/03/Coffe.jpg 183 276 Steve Dodd http://www.tdconsulting.com.au/wp-content/uploads/2017/01/logo.jpg Steve Dodd2017-03-23 02:31:222018-10-25 00:16:59Are you going to a meeting or a chat with coffee?